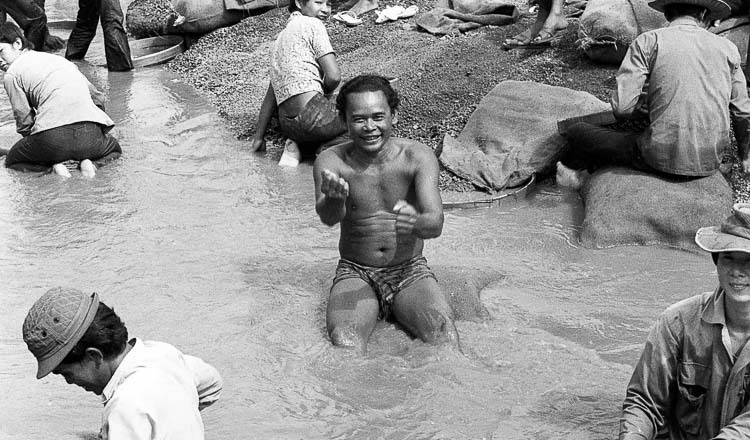 Bouy Lay Henh was ten years old when the Khmer Rouge marched into Phnom Penh. 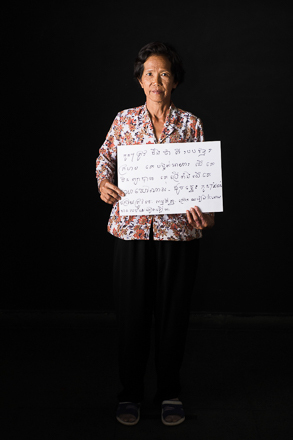 While she lived in Kandal province, three of her brothers were forcibly evacuated from the capital, two of whom did not survive the regime. She was forced into manual labour when she was part of the women’s unit and faced overwork and starvation. 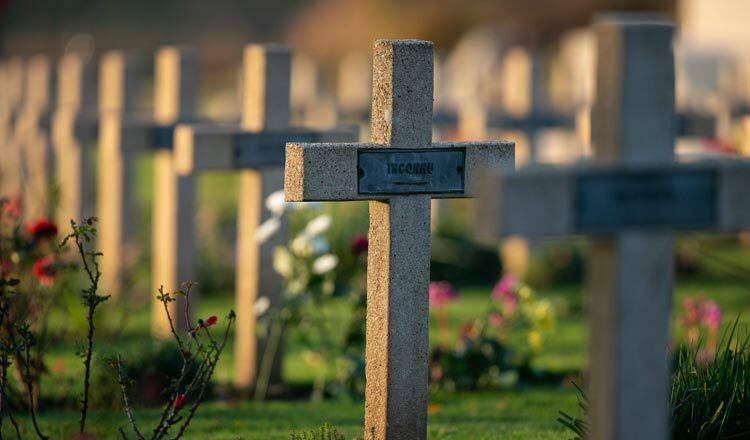 It was because of her hardships that she applied to become a part of a civil party at the Khmer Rouge Tribunal where, during her testimony, she relived the horrors she went through. 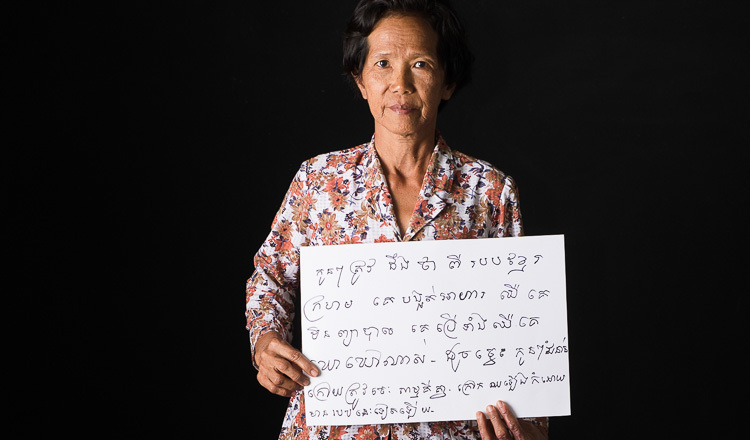 Her story and her photo will be displayed among 48 others each with a message of hope and reconciliation at Tuol Sleng Genocide Museum in Phnom Penh from this evening as part of the “Lessons from the Past” photo project. Meta House in cooperation with MoEYS, devised a piece of theatre about the regime called The Courageous Turtle, to encourage students to talk with survivors of the Khmer Rouge and to better understand the older generation. Survivors have watched the performances alongside the school students, at first to give feedback as well as to discuss with students what they have been through. It’s during this time that Swiss photographer Anders Jiras took a photo of each survivor holding up a simple message of what they hope they could pass on to the next generation. “It is quite touching to me,” he said yesterday at Meta House. 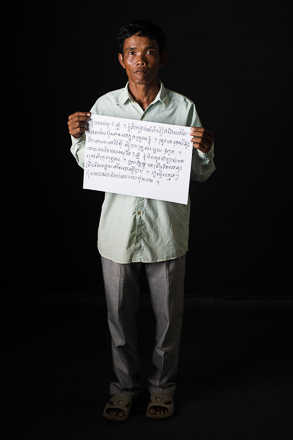 It is these messages, along with a short biography of their experience, which will be displayed at Toul Sleng. Exhibition designer Laura Lavé said she wanted to combine elements of both Tuol Sleng and the Choeung Ek Killing Fields into her layout of the exhibition. “I really tried to see the links between the venues, so with the Killing Fields, obviously it’s horrible, but also quite peaceful. It’s like nature took back its right with all the flowers and vegetation, which is why I wanted to introduce nature to the exhibition,” she said. She has used raw materials such as wood and natural string as well as plants to highlight the elements of growth and reconciliation the project is designed to represent. 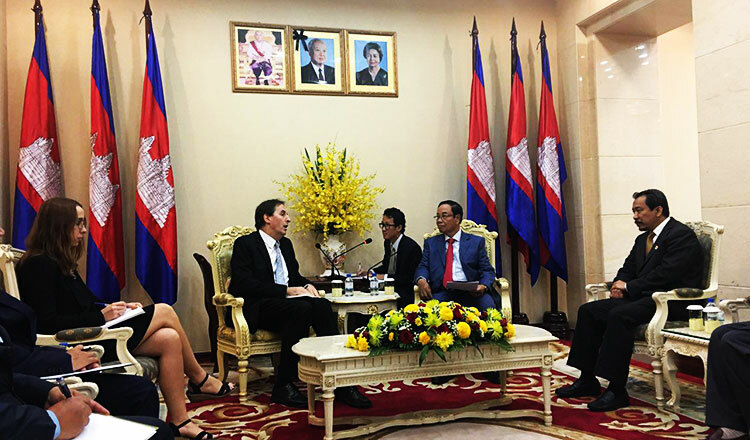 “The project is for the young Cambodians, so I wanted to focus on that more alive aspect,” she said. Meta House founder Nicolaus Mesterharm noted the importance of holding the exhibition in such a symbolic place as Tuol Sleng, adding the museum has evolved alongside the nation in its healing. “Tuol Sleng has transformed itself…the quality of the exhibitions, have all been upgraded,” he said. He said the project was a testament to the bravery the civil party members have shown and despite the photos harking back to the past, the exhibition was about looking forward. “Our project looks into the past because we want to look to the future. 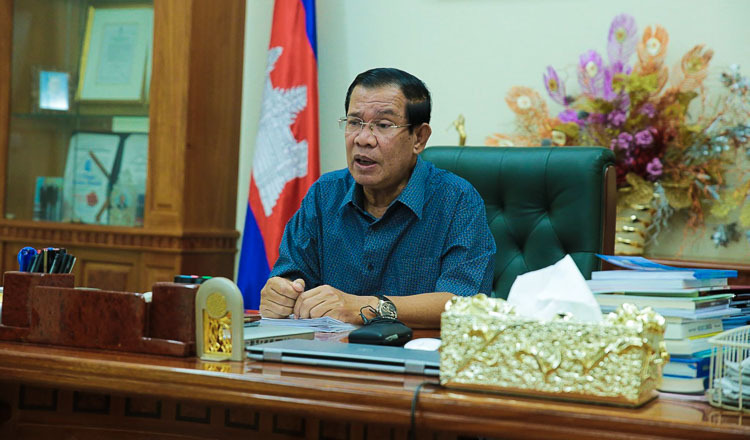 So these civil parties, who are so brave who have opted to share their story, they are so important for Cambodia’s next generation,” he said. “Lessons from the Past” will be open to the public this evening from 6pm and will be displayed until February, 2018, at Tuol Sleng Genocide Museum.